Fabric: Ribbed fine-knit. Pullover style. Waist-length style. Crew neck. 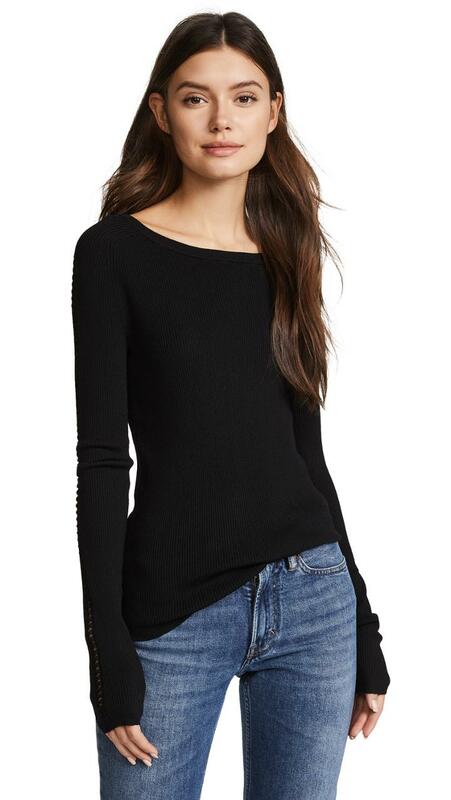 Long sleeves with lattice detailing. Shell: 65% rayon/35% nylon. Hand wash or dry clean. Imported, China. Italian yarn. Measurements Measurements from size S Length: 24in / 61cm, from shoulder A subtle layering piece from 360 SWEATER, this top was designed to conform perfectly to your curves. Knit from top-grade Italian yarn, it's lightweight enough for year-round wear.